I know that most of the time I get phone calls looking for a property located in town, as in close enough to walk. I personally have seen mostly all the in town properties, but have yet to experience all of the great places we have outside of downtown. 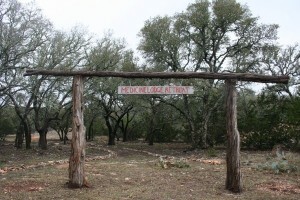 I decided to finally go and see one of our properties west of town called Blue Sky Ranch. 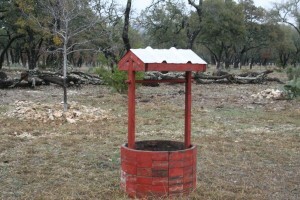 This property is only a short drive about 3 1/2 miles on the highway and then another 3 miles from there. In reality it took me about 10 minutes to get there from the center of town. 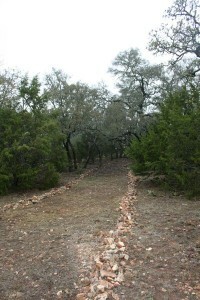 Blue Sky Ranch is really a unique property. 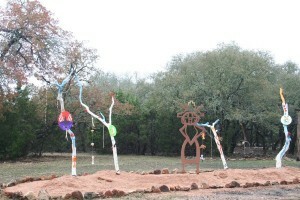 When I first pulled up to the property I was already aware that the owner is an artist, but I was not aware of all of his work. Entering through the blue gate and then driving along side many iron sculptures you immediately feel like you have driven to a modern art museum. 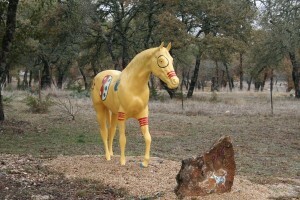 Aside from all the amazing art work you see three walking trails the owner has created. I almost felt like reliving my old camping days and stop my trip there. I didn’t really care much about getting to the house anymore. I was at ease and ready to go walking. 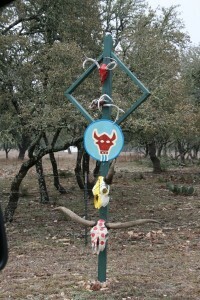 On each trail the owner has put his own creations simultaneously throughout making the names of the trail a reality. Even though I could keep going on and on about these walking trails I had to keep going to get to the reason why I went out to Blue Sky in the first place, to see the house. Although the house is green, it really is a cute little house. You are angled in a way where you can only see a small, very small, portion of the homeowner’s house, and that small section is the side of his house too. So if someone asks if it is private, I would consider it very private. Entering from the front porch you have an amazing feel of “I’m home” come over you. It is not set up like most guesthouses, with your standard layout of glamour, but this house actually feels like you are home. The owner has certainly put some thought into his place and for that it is really appreciated. With a fully loaded kitchen, two bedrooms, two baths, and of course the lovely whirlpool tub in the master suite, you really get a love for this home away from home property. I think of all the things I could rave about for this property was certainly the serenity of the walking trails and the creative homemade scenery in admirable places. I could go on and on about this, but I think by now I have painted some imagery of this property, but don’t worry I have taken a few photos of my experience out there if you can’t picture what I saw. I know that some look a little gloomy and for that I am sorry we finally had rain and I wasn’t about to get frustrated due to it. 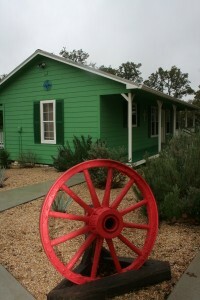 I hope you too will enjoy Blue Sky Ranch on one of your next ventures to the Hill Country. I can promise you this, if you are looking for a getaway from all the hustle and bustle or a place to get your creativity to spark this really is a great place to help you do that.